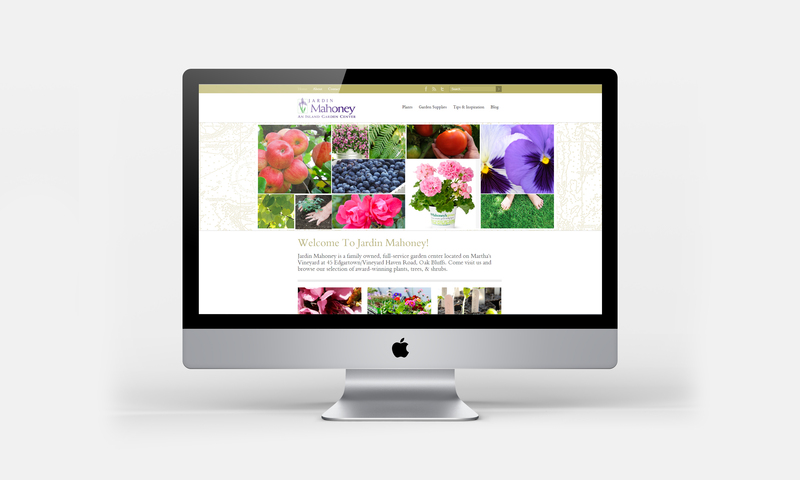 Jardin Mahoney is a full-service Garden Center located on Martha’s Vineyard. 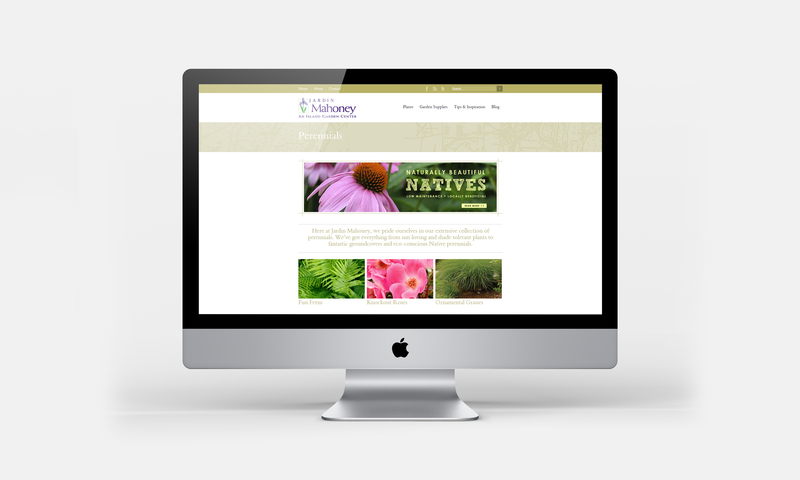 Jardin Mahoney needed a website that showcased a large offering of seasonal product,how-to, and inspiration. 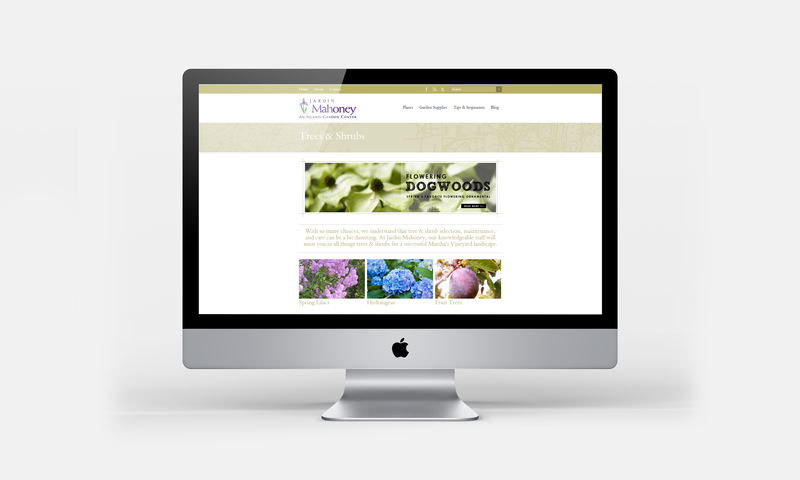 The look and feel of the site is driven by the multitude of beautiful product imagery to romance the idea of gardening and creating an outdoor space. 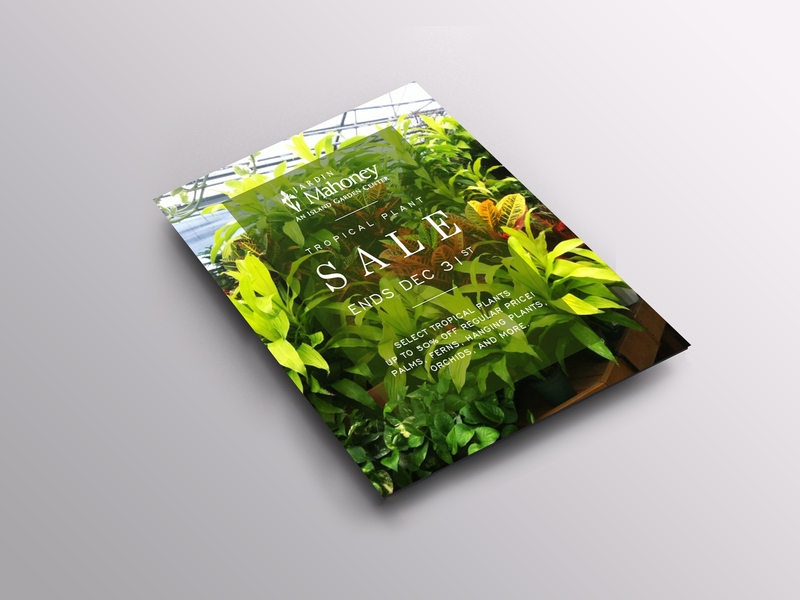 Regular e-blasts were created to promote specials, seasonal-articles, and continually connect the customer with the knowledge and inspiration consistent with the in-store experience.